In one of our leadership discussions at the start of a camp session, a camper named Ben expressed that he’d never held any real leadership roles in his life. But, as we kept talking and learning more about each other in the group, I offered that his organizing a soccer game across grades after every lunch period, volunteering to read first when the teacher asks and no one else volunteers, and showing his younger sister how to draw cartoon animals the way he loves to all represent significant leadership initiative. Leadership training programs and summer camps for teens shine because they give kids a chance to step out of their everyday routines and roles for experiential learning, by living the things they learn—but also because they help kids to recognize how their own strengths are already leading and inspiring others around them. In a study by the American Camp Association, 74% of campers said that camp encouraged them to do things they’d been afraid to do at first. In a lot of cases, campers are referring to adventurous activities like climbing up our 36-foot-high rock wall or riding the Giant Dipper roller coaster on our Santa Cruz Beach Boardwalk day. But some campers are also referring to personal and interpersonal challenges that they face within the camp community itself. In the Bay Area, leadership camp is a unique combination of youth leadership training and adventure in the great outdoors. In addition to observing counselors in action, teen campers in leadership training are assigned to a cabin of younger campers, so they can put those theoretical lessons into practice as they assist the counselors proactively. At the end of the first week, the CILT group goes on the big Outpost trip together, continuing to learn and grow. 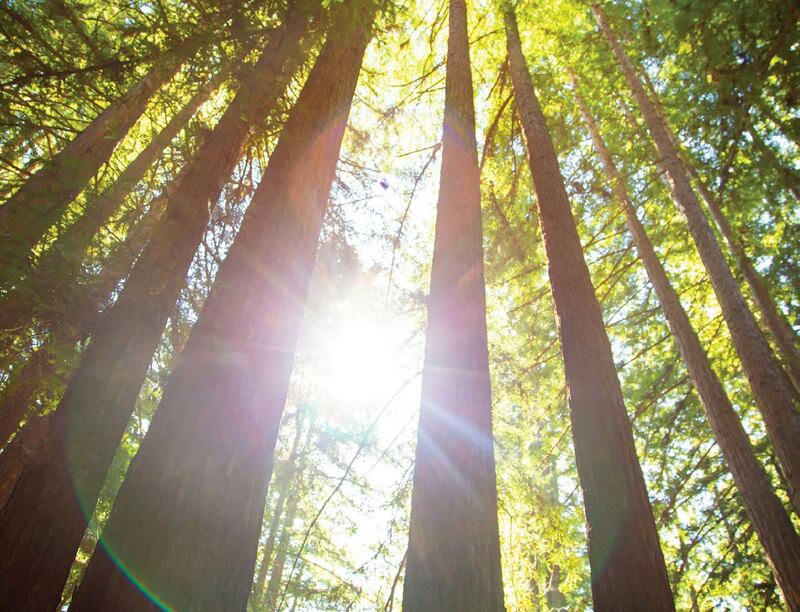 By the end of two weeks, when Outpost comes around again, our CILT campers are ready to support their shadow cabin on this immersive overnight campout in the redwoods. Many of our high school students in the leadership program remember back to their early Outpost experiences and their nervousness about sleeping out in the wilderness, cooking their own food, and being responsible for their own supplies packed right on their backs. This puts them in a great position to offer assistance and encouragement to the younger campers who are growing into these important skills for self-reliance and resiliency. Once our teens graduate from the Camper in Leadership Training program, they are invited to continue their journeys through the Counselor in Training (CIT) program. 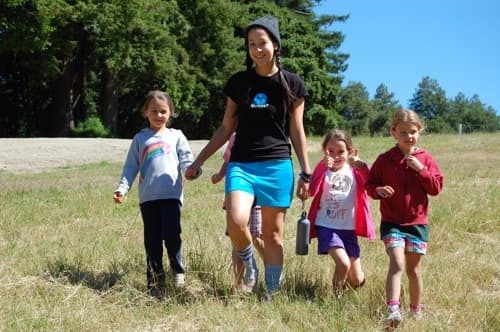 On this even-more-focused path, campers broaden their leadership skills and confidence with consistent hands-on counseling responsibilities at our Day Camp for Bay Area families. They even get dedicated training in First Aid, CPR, and water safety. With their greater responsibilities come expanded opportunities for enrichment and fun. Our CITs also get a sense for what work-life balance means for counselors through social trips to Santa Cruz. But counselors in training are still closely connected to the camp community by participating in and sometimes leading traditional evening activities—like the CIT Safari, which you have to see to believe. Through the summer camp sessions, the other campers really start to view CITs as mentors and role models to look up to. Maybe these younger campers even start to consider future leadership training themselves! Our third-year leaders in training are some of the most important advocates for our unique camp traditions because they’ve taken part from their very first Kennolyn Camp session, and they know how important those traditions are to help new campers feel welcome and connected. JCs, or Junior Counselors, get enthusiastically involved in helping campers to thrive on their individual camp journeys and as members of the camp community. Junior Counselors feel prepared to step into these bigger responsibilities, with other campers depending on them, because they’ve had abundant and supported opportunities to learn through direct experience. Plus, they have built on their valuable personal adventures as resilient campers in order to become thoughtful, resourceful mentors of other campers in resilience training. Summer camp introduces an important continuous model of counselors setting a positive example for campers to admire and embody. Then, senior campers have significant opportunities to step into role-modeling positions for their younger peers—inspiring similar future ambitions in those younger cohorts. Summer camp is about much more than fun and games as campers quickly feel like valuable, influential members of the community. The confidence that comes with campers making a difference in their own lives and others’ leads to the belief that they can take their positive ideas and influence out into the world beyond camp. 80% of employers say they want to see leadership experience on a candidate’s résumé. For youth in summer leadership training programs, this is just the beginning. They leave leadership camp with the interest and confidence to engage in other school opportunities, extracurriculars, and the many internships and career exploration possible among the abundant Bay Area industries. Our campers learn, early on, that authentic leadership means empowering and advancing their own strengths, so opportunities for growth are always within reach. Kennolyn’s leadership training programs for teens are open to high school students entering 10th grade and above. Whether your young leader has already taken part in Kennolyn’s summer camps or is new to our community of friends, we invite you to get in touch and learn more about how the Camper in Leadership Training program can open up important doors to their future.